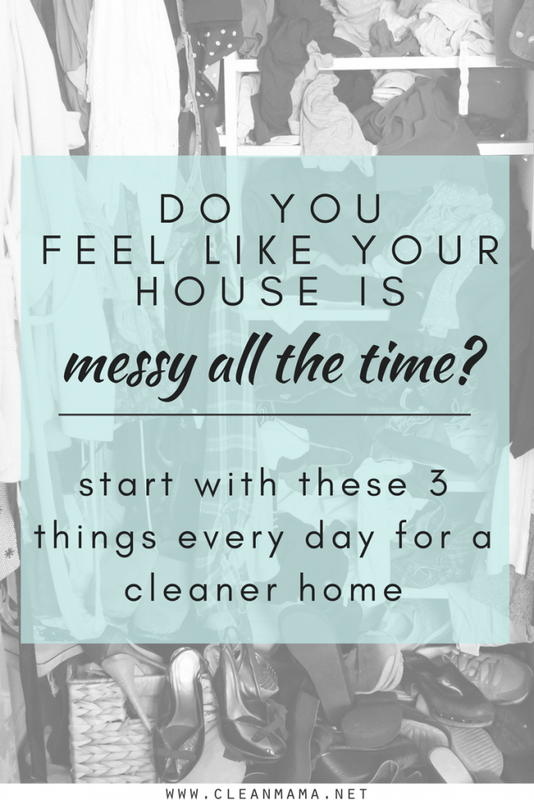 Do you feel like your house is messy all the time? Perpetual piles, endless clutter, laundry, dishes, toys…..This messy feeling can lead to simple annoyances and it can also affect our mood, behavior and mental state in extreme cases. I’m here to tell you that your house doesn’t have to be messy. You can come up from under the overwhelming to dos and gain control of your home and surroundings. 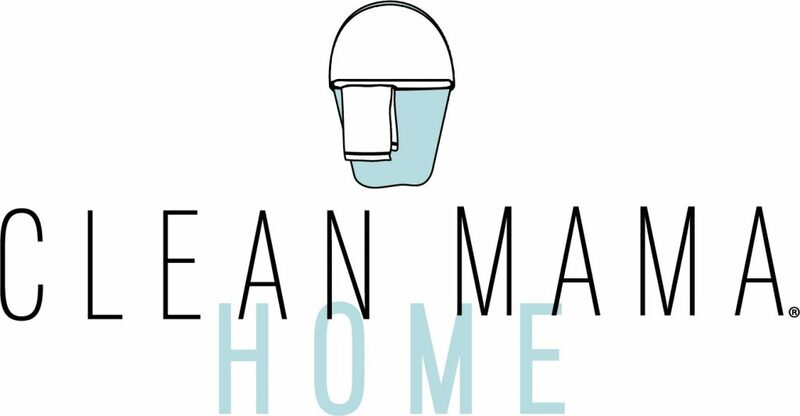 If you’re new to Clean Mama, I have thousands of posts in the archives, free printables galore, and lots of resources ready to help you overcome that messy feeling. But first, I have three simple things you can do every day to propel yourself forward and set a routine in motion. So, instead of looking around and going down the search engine rabbit hole, simply start with these 3 things every single day. If you’re thinking – why make my bed, I’m gone all day or I don’t go back in the bedroom until the evening, who cares? Try making your bed for a week. Pull up the covers and fluff the pillows. You might be surprised how this simple 1-2 minute task can set the tone for the day. Do a load of laundry from start to put away. Doing a load of laundry every.single.day is one of the things that I stress as a game-changer when it comes to homekeeping. If you’re easily overwhelmed with laundry like I am, staying on top of it with smaller, more manageable loads is essential to keeping the mess away. 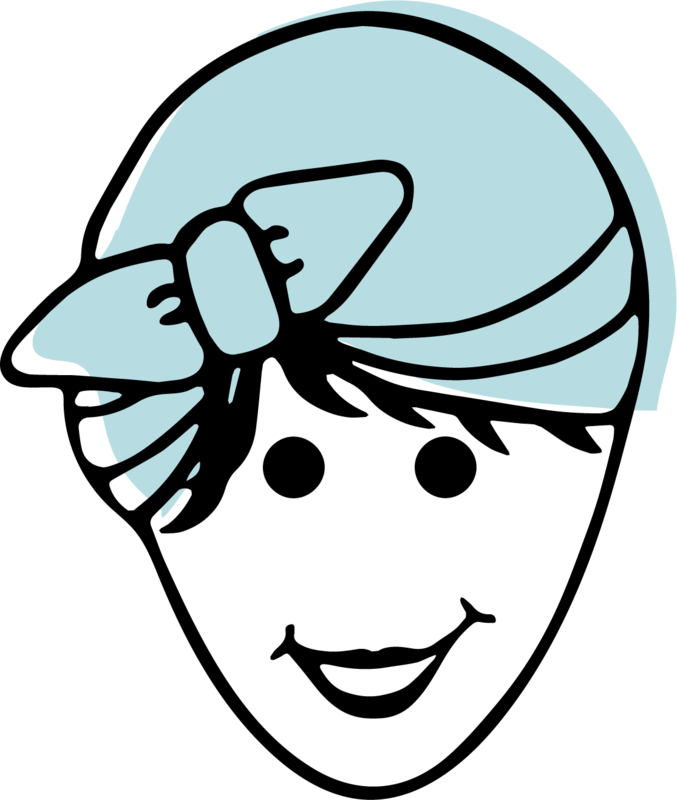 No piles in the corners, on furniture, in baskets getting wrinkled…..
Deal with a pile of clutter every day. Clutter might seem never ending but with a daily habit, you’ll find that it is manageable and that you can turn that habit into small systems throughout your home which will lead you to less clutter and less mess. Deal with the mail, school papers, toys, piles, and any other little or large spot of clutter that you have in your home. 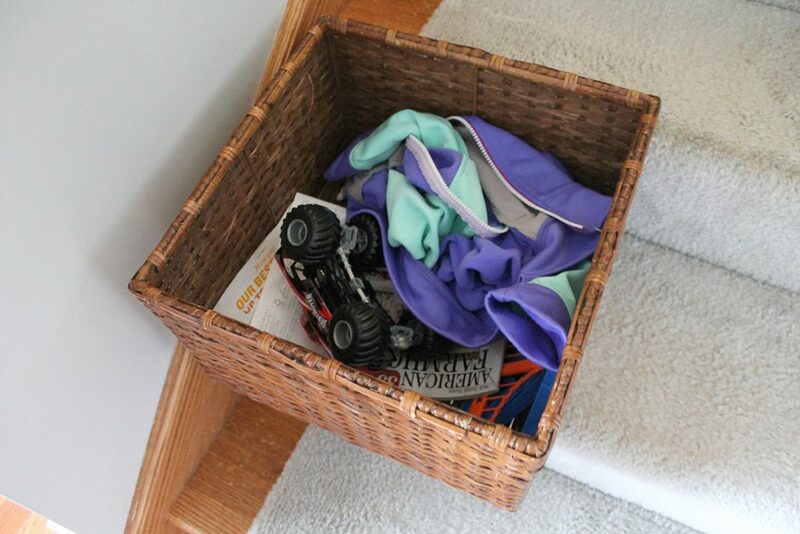 Try putting a basket on your steps or in a convenient location to put clutter in during the day. At the end of the day bring those items to their proper location – kids can do this too! These three things are part of my daily routine (I recommend 5 things to do every day and these are 3 of them). I would argue that completing these is the simplest way to start finding your way out of the mess. Once you have these three mastered, add the rest of the daily routine. Heads-up! 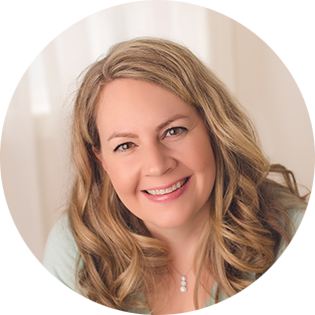 I have quite a few new things coming your way in the next couple weeks – pop your email in the box below or in the sidebar if you aren’t already on my email/newsletter list so you don’t miss a thing! I have a question about the laundry thing..my house is just my husband and myself, so we don’t have enough laundry to do a load every day. (I could do a small load every few days though!) BUT if I want to get into this habit of 3 tasks a day, what would you recommend putting in the spot of doing laundry daily? I feel like our house is a CONSTANT mess between us working our regular jobs, our small business, and our 3 animals..it gets SO overwhelming! I have the large front load washer. Doing smaller loads vs larger loads has also been a struggle for me. I am an empty nester now and do not have near the laundry I used to. Maybe if you walk around your home and find the places you feel to be trouble spots you could insert them on days off from laundry. Do you have a command center? Paper piles build quickly, so if you spend say two minutes a day and just keep it organized. I would say any place you feel needs attention just direct your time there. At the end of the day you can jot down what you have done and then maybe make a list so you can say okay today is Monday what is on my list of the day for my Home. Even if it is just two things that day but they really matter then you have solved your dilemma of inserting into your time slot. Ready to get this routine going. Tired of a mess with A husband,retired, 56yr. Son, disability back, raising 5yr. Great grandson. I’m cooking,laundry and picking up stuff yet a mess!!! So simple and so life changing! The laundry thing gets me all the time. I forget it or purposefully choose not to do it when it finishes in the washer. 2 days later — its awful. I came across this post last week, and I tried doing a small load of laundry every day for a week. And it really did help so much! Thanks for the great advice. Looking forward to following your blog in the future!